In early 2008 a mobile air-defense unit set up camp in a wooded area just across the road from my Tehran apartment. 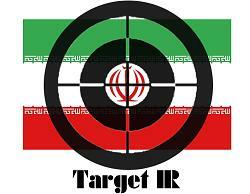 Suddenly, we began to take the recent speculation of a possible air attack on Iran very seriously. My wife and I even considered putting sticky tape on the windows to prevent glass fragmentation in the event of an explosion. The war of words with the US and its allies over Iran’s nuclear program had been ratcheted up with then-President George W. Bush threatening to “finish the job” with Iran before he left office. Some evenings my wife and I would stare out of our living room window at the dark silhouette of the Alborz Mountains to the north, at any moment expecting to see bright arcs of antiaircraft fire probing the night sky for attacking bombers. He cited the 1981 Israeli strike against the Iraqi nuclear reactor at Osirak. “There had been no threats, no advance warnings,” he said. Consequently, the ambassador is convinced the Israeli rhetoric is nothing more than a bluff. But to what end? Picking up on the theme, Iranian-American foreign policy analyst and writer Soraya Ulrich says the bluff isn’t aimed at the Iranians. “Whenever Israel wants the US to do something,” Soraya Ulrich argues, “they first threaten to do it themselves. The sanctions, Ulrich says, are costing the US thousands of jobs and billions of dollars, which is entirely aimed at preventing a preemptive strike by Israel against Iran’s nuclear facilities. US President Barack Obama is on record as saying that if by the end of his first year in office there has been no substantial progress in diplomatic initiatives to resolve the Iranian nuclear issue he would have no choice but to reassess Washington’s options. We are at that point, and according to Secretary of State Hillary Clinton, diplomacy has essentially achieved nothing. There are only so many deadlines that Obama can impose – and subsequently extend – without losing credibility both domestically and overseas. There is no reason to doubt that time for a diplomatic solution is running out. To date there has been no irrefutable evidence that Iran is engaged in activities to weaponize its domestic nuclear program, or even has any plans to do so. That fact notwithstanding, the oft-repeated “threat” of a nuclear-armed Iran is the cornerstone of Western arguments to support sanctions, and even the possibility of war. Some speculate that ulterior motives lie behind the push to action. Hua said it was more about maintaining regional military superiority than any alleged threat from Tehran. After Iraq and the continuing struggle in Afghanistan, the Western public is tired of war. Despite the unwavering support for Israel among Washington’s neo-conservative power elite, even they would be unable to sell the idea of another protracted and expensive conflict based only on Israel’s inability to deal with Hamas militants in Gaza and the Lebanon-based Hezbollah. That simply won’t happen. So to support Israel’s desire to send the strongest possible message to Tehran to stop supporting Palestinian resistance movements, it became necessary to create a monster, one scary enough to galvanize a war-weary American (and European) public. Iran’s nuclear program was an absolute gift. Is Iran next? Well, if you still believe in Iraqi WMDs, the 45-minute threat, and Saddam’s links to Al Qaeda, then there is a very real possibility that it could be.